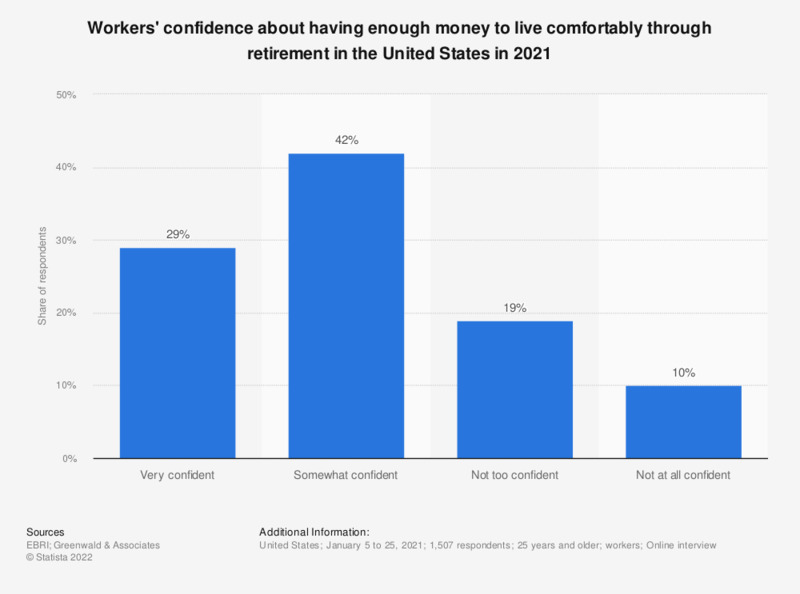 This statistic presents the worker confidence about having enough money in retirement in the United States as of January 2018. It was found that 17 percent of the respondents were very confident about having enough money to live comfortably through retirement as of 2018. Compared to two years ago, what is your opinion towards your economic situation and economic security?